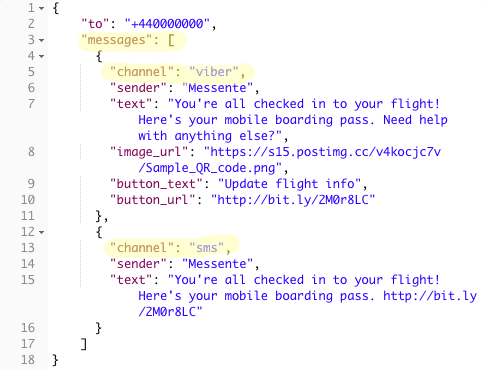 The public beta of our omni-channel messaging API has been available for two months and we're glad to announce that it is now officially out of beta! 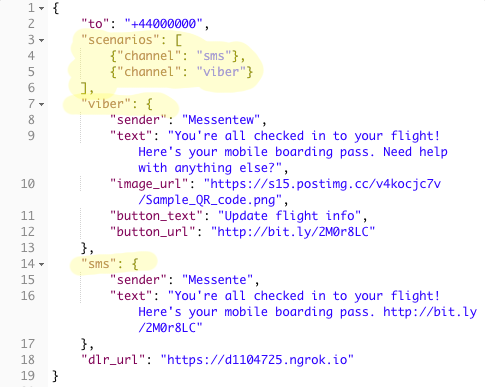 The omni-channel messaging API allows you to send SMS, Viber, and soon, WhatsApp and RCS messages, allowing for two-way conversations with your customers. We covered the details of the API in a previous blogpost, which also explains how to get it. During the beta testing period, we identified possible bottlenecks, made it more intuitive, robust, and easily extendable. As expected with beta releases, the API specification did change a bit. The most notable change between the beta and final release is the way data is structured in the request, defining the order of failover. See the image below for examples of both the old and new data structures. In the beta, we tested out using scenarios as the order of preference, but in the final version we opted for a more clean list of messages directly, defining the channel in the message itself. This new structure allows the API to be more easily extendable in the future by being easily backwards-compatible. For the final API specification, you can refer to our Omni-channel API Documentation page, or have a look at our ready-made libraries for the most popular programming languages. Messente has libraries for all the popular programming languages, like Java, Python, C#, PHP, etc., using the OpenAPI specification. This allows you to easily generate a library for your preferred programming language, if it is missing from our official list. Recently, WhatsApp released their business API, allowing to send transactional messages to your customers using the most popular OTT messaging platform, with 1.5 billion monthly active users. Messente is working with WhatsApp to have the integration in our omni-channel messaging API, allowing us to also have WhatsApp and two-way messaging deeply integrated. On top of WhatsApp, next in line is RCS, known as SMS v2.0, enabling all the features of OTT like images, links, videos, etc., in Android's familiar Messages application.